Let’s talk about Baby-Led Weaning! As a speech pathologist and feeding therapist, I think there are a lot of positives to this method of feeding. As a mom, I completely understand why Baby-Led Weaning might make you nervous or uncomfortable. So let’s chat about it. Baby Led-Weaning is exactly what it says in the title, it’s BABY LED. This means the baby is in control of the food, and they are feeding themselves. With baby-led weaning, you are not feeding your baby purees, but instead giving them safe pieces of real food to mouth and chew on their own. You baby gets to explore a variety of tastes and textures right from the beginning. Instead of just being exposed to one consistency (puree) your baby gets to explore a lot more. This will improve their overall sensory toleration of foods, and hopefully lead to less picky eating as they get older. It can decrease stress and anxiety associated with food. Some babies just prefer to do things themselves at their own pace. They may close their lips and turn their head away from a spoon being held by their parent, however when given a spoon or piece of food themselves they are comfortable putting it into their mouth. It allows them to explore new foods at their own pace without pressure. It’s also great for fine motor skill development. They are getting lots of practice picking up food and bringing it to their mouths, as well as using utensils such as a loaded spoon or fork. It can be less work for you as a parent. As long as you eat a healthy diet, your baby can eat what you are eating (with some exceptions). You can eat together as a family. Family meal-time is something that I strongly encourage for speech and language development from a young age. 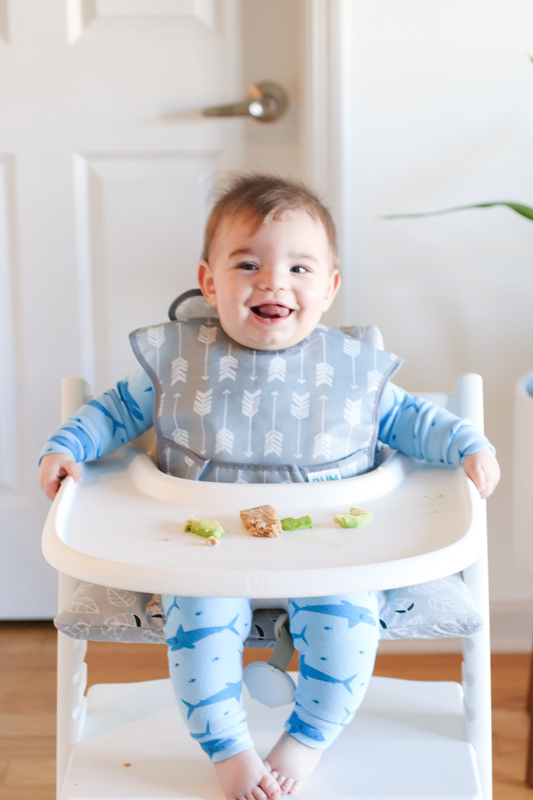 With BLW you can give your baby food on his/her high chair and eat at the same time with them, instead of needing to feed her first and eat yourself later. Babies learn portion control. When a baby is full, they stop eating. This is something they are able to do when feeding themselves. Often times when being spoon-fed, us parents like to get in the last few bites so we start turning the spoon into a train or an airplane to get our baby to open their mouth. This can lead to overfeeding. One of the key points to Baby Led Weaning is to have realistic expectations. Your baby may not put anything in their mouth for the first few weeks, and that’s ok! 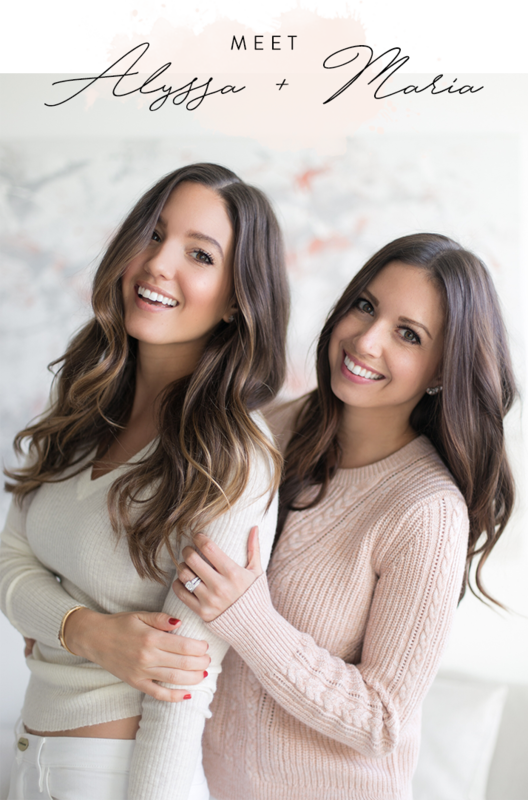 They are getting all the nutrition they need from breastmilk or formula, so it’s important to look at each trial as an opportunity for them to gain positive experiences with food. Gagging can be scary. I completely understand. Something to remember is that gagging bothers you much more than it bothers your baby, so it’s very important to remain calm. Your baby’s gag reflex is much farther forward in their mouth, closer to the middle of their tongue. So when they are gagging it doesn’t mean the food is necessarily back near their throat, it’s most likely much farther forward. Babies gag as a protective mechanism to spit out the pieces of food to prevent choking. That being said, I do think it is important for all parents (no matter the feeding style being used) to be infant CPR certified, know the signs of gagging vs. choking, and be aware of choking hazards. One hesitation I do have with Baby-Led Weaning is that if a baby gags too often (more than typical for BLW) they may develop a negative association toward eating. Most babies that I work with who refuse to eat have had some sort of negative experience in their past (reflux, NICU, allergies, excessive vomiting, etc.). As I mentioned, when a baby gags it really doesn’t bother them very much. However if they are gagging all the time, or the parent has a difficult time remaining calm, then anxiety associated with eating may develop. 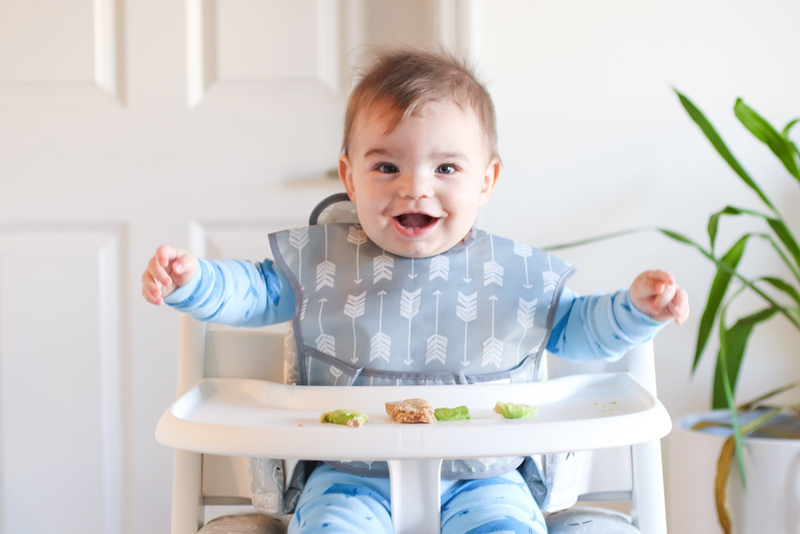 I chose to start Luca on solids using a combination of the Baby-Led Weaning method and spoon-feeding. I hope this duel approach leads to a well-versed palate for healthy nutritious foods. I typically feed him purees once a day, and then give him exposure to strips of food once a day (give or take- there are days I don’t get to it). But as a parent you need to find what works best for your baby! My number one recommendation is to keep feeding as calm and positive of an experience as possible, with no pressure to eat involved. Please note! This is NOT the only way to start your baby on solids. If you don’t think this method is for you, it’s absolutely ok. There are many babies who start out being spoon-fed purees and transition to solids a bit later and are still successful eaters. Know that I am here for you to support you and answer any questions no matter what method you choose.